sHandke ART jouRnal: April Showers. May Flowers. 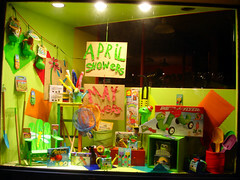 I created this window display last night at Henry Bear's Park. I had a lot of fun, as I always do. I used packing paper, recycled wooden panels, painted found drawers, and mis-mixed paint. It's always a lot of fun to create a new window using as many found materials as possible. I hope you like it. 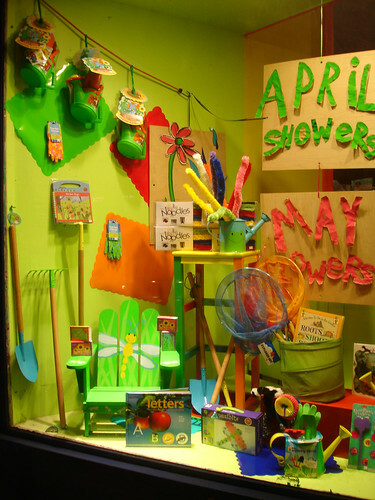 If you're interested in hiring me to help you with your window displays in the Boston area, contact me.